Additive manufacturing (AM) is very appealing as a manufacturing process for metal parts. It allows manufacturers to create parts and structures that are geometrically complex and would be impossible to make with traditional manufacturing methods. It’s also great for parts consolidation, allowing dozens of parts to be integrated into a single component. In addition, it requires only a single inspection step to certify parts rather than multiple inspections of each component, assembly, and then reinspection. Finally, it can increase part performance and simultaneously decrease part weight. Simulating Parts before PrintingThere’s no denying, however, that metal AM is an expensive process. That is why it’s generally reserved for prototyping rare or unavailable parts or very small production runs. One of the reasons it’s still expensive is that the process often needs to be repeated multiple times to get a design right, which wastes time and materials. Flaws are discovered after the print, the design is tweaked, and the part is printed again and again until it’s exactly right. This is where simulation comes in. Part simulation before printing can reduce or eliminate many of these disadvantages. From assembly and pick-and-place to material handling and packaging, the use of robots is on the rise in factory automation. In this webinar you will receive a step-by-step guide on how get started with robotics in automation and the key aspects to consider. ANSYS Additive Suite is a set of simulation tools to help manufacturers take advantage of the benefits of AM and minimize the drawbacks. 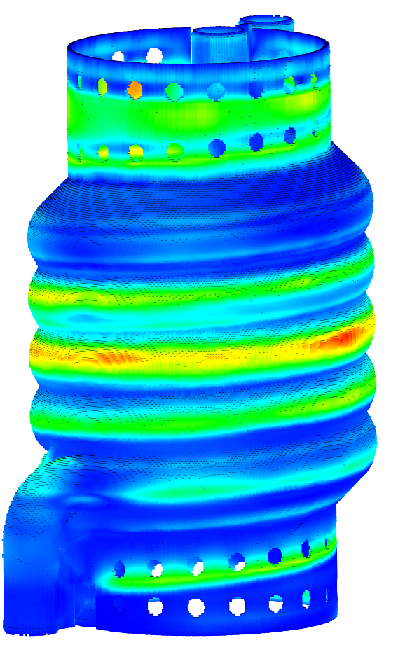 The recently updated suite comprises the following: Additive Print, which allows designers to work out all the design kinks before the part is even printed; Workbench Additive, an APDL finite element analysis solver; Topology and Lattice Optimization, which helps users reduce weight and optimize shapes for the AM process within ANSYS Mechanical Platform; and Additive Science, which allows design engineers to determine optimum machine and material parameters for a specific process. The suite is CAD platform agnostic. Additive Print, Additive Science, and Workbench Additive can be read in any type of CAD format as well as STL files. According to Brent Stucker, director of ANSYS Additive Manufacturing, the suite helps designers answer a variety of questions before printing so they don’t become rejected parts with unacceptable flaws. “Designers can answer questions like: Will my design distort beyond acceptable tolerances? Is there high potential for blade crash? Where is the best location for my supports? Will the stress distribution be acceptable? They can answer these questions with a simulation, rather than with the much more expensive and lengthy physical testing process of having to print the part to see if their design is printable and up to spec,” Stucker told Design News. According to Stucker, the different elements of the suite are designed for different job functions. Additive Print is tailored for designers and machine operators, while Workbench Additive is for engineers and current ANSYS users. For its part, Additive Science is aimed at material scientists, metallurgists, and additive engineers. Robust simulation saves both time and money. For large platform machines, a single build can take between two and three weeks. A single failed part on a large-platform machine may waste $50,000 to $100,000 and cause a company to miss important milestones. Even prints on smaller format machines can be very expensive: between $2,000 and $6,000 per build. A robust simulation tool allows designers, operators, engineers, analysts, and material scientists to experiment with their designs, their machine settings, and material properties inside a computer simulation before any materials are used, as opposed to costly physical printing trials. A single bead parametric study, which—given some permutation of scan speed, laser power, and material type, for example—will provide the user with the meltpool dimensions. Porosity calculations to determine the percentage of porosity in a given part. This calculation is necessary to understand the final properties of parts that are manufactured with metal AM processes. A simulation of thermal signatures of material as if they’re being viewed through specific thermal sensors. Uses can gain access to a simulated heat color map for a chosen cross-section of the part, as a function of time. Microstructure simulation, which uses the outputs from the above calculations, together with ANSYS’s new and proprietary microstructures solver, to provide users with grain size and grain orientation—both of which are needed for extrapolation of material properties of the final AM part.